For 20 years, Jasmine Purscell ran a successful residential construction business. Neither she nor her husband attended college or pursued a formal degree, but together, they were able to create a thriving company. Jasmine credits most of her success to her tenacity, and her unwillingness to ever accept “no” as an answer – from herself or others. Before attending Business Mastery, Jasmine’s company had undergone incredible growth. The business had doubled its profits, and by anyone’s standards was doing increasingly well. But Jasmine felt differently. She started suffering from anxiety; the pressure of sustaining this level of success was daunting. She was unable to sleep at night, lost hair and had chest pains often. Something was definitely wrong but she couldn’t pinpoint what it was. After hearing her stepson discuss Tony Robbins, she was initially skeptical. Despite her initial hesitancy, Jasmine ultimately ended up buying a ticket to Business Mastery. With so many changes in her business, and her 40th birthday on the horizon, she knew she needed to radically shake things up. Once the five-day program had finished, she returned home feeling like a new person, and was certainly ready to tackle any business problems that came her way. The biggest thing Jasmine noticed was a major change in her state. She was used to showing up to work in an angry, stressed-out state. Her unhappiness affected those around her, too. By attending Business Mastery and learning the strategies she needed to change her mindset, she learned powerful coping mechanisms and how to stop pushing blame on others. Business Mastery challenged Jasmine to reassess the fundamentals of her business. Jasmine listened to industry leading speakers discuss ways to make sure her business was the best it could be – covering everything from how to deliver a perfect pitch to new clients to examining ways she and her husband could decrease their expenses. What was her biggest chokehold? Herself. When issues had come up in the past, Jasmine had made excuses. She always thought it was something else limiting her success, such as a lack of employees or resources, but really the thing holding her back was her mindset. After attending Business Mastery, she realized there wasn’t always one right or wrong choice – there were numerous ways to solve any given problem. Jasmine was so energized by her time at Business Mastery that she decided to return, with her husband and another team member in tow. This time around, she was able to see the program through their eyes and picked up additional strategies for success. She and her partners were able to see how small tweaks in different areas of a business can have a huge impact on the company’s success, and Jasmine has now set a goal of doubling her business again. In addition to providing her family and her team with an empowering sense of work-life balance, Jasmine’s watched her business grow since leaving Business Mastery, and is well on her way to reaching her goal of doubling profits once again. But more so than just earning more money, Jasmine and her husband are dedicated to creating a sustainable business. They want to develop a legacy for their children that will instill their kids with a feeling of pride and financial security. Business Mastery provided Jasmine with a new lens to which she could examine her business. She learned she could set big goals and not only meet them, but do so in a way that felt rewarding and stress-free. Ready to attend the event that will transform your business and your life? 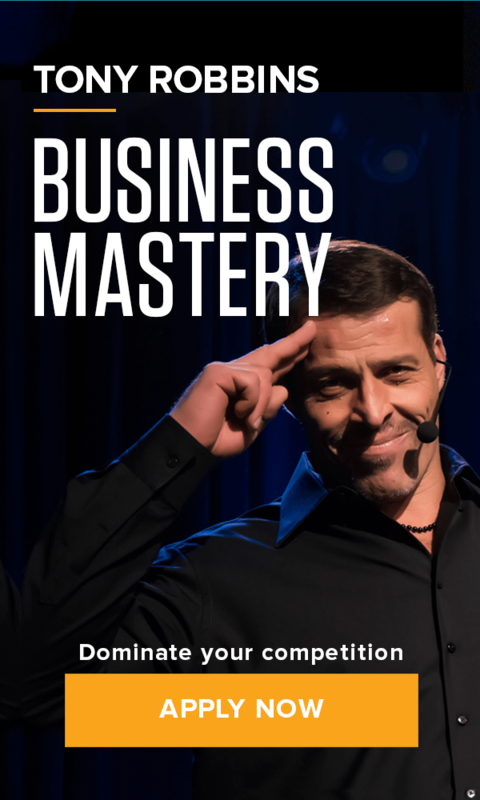 Learn how to reach – and exceed – your goals at Business Mastery.